"I am reluctant to have to get rid but I have no choice – they're such hard work." A worn-out mom has put her daughters up for sale after catching them getting up to mischief yet again. Mother of four Kylie Cain (28) caught her daughters -- who she's dubbed 'the Kray twins' -- trying to lick spilt milk off the floor with their family dogs. 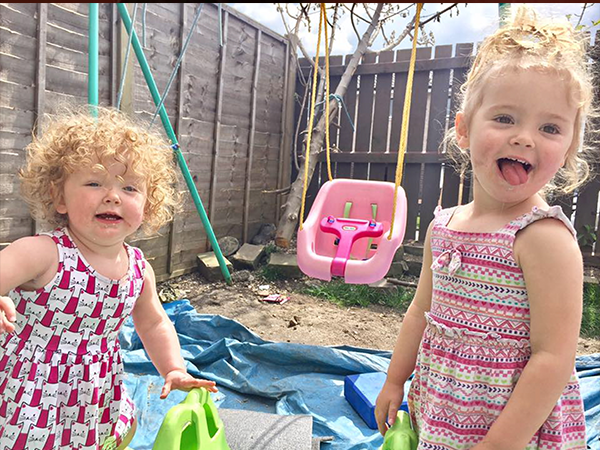 Kylie from Wigan, Greater Manchester didn't know "whether to laugh or cry" as she snapped her little girls Myla Cain (2) and April-Rose Cain (1) lying next to their pooches Molly and Buster. Moments before, Myla had climbed on top of Buster, flung open the fridge and dragged the milk off the shelf and onto the floor. Despite being annoyed, Kylie said the incident was "too funny" not to capture on camera. "They are up to mischief all the time but when I saw Myla climbing on top of the dog I was like 'oh my God' – I just couldn't believe it. 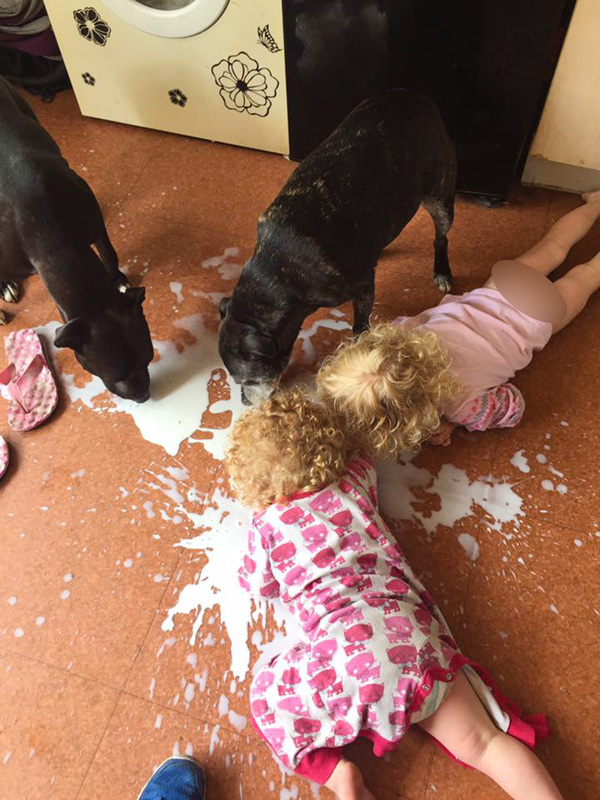 "Before I knew it the milk was all over the floor and the girls had decided that licking it up was the best next step. "It's definitely not something you see every day. It's one of those mom moments where you don't know whether to laugh or cry but in the end I decided it was way too funny not to capture it." The stay-at-home mom took to social media to post the hilarious shot along with a caption offering 'two poodles' – in reference to her curly-haired tots – to a good home. "I am reluctant to have to get rid but I have no choice – they're such hard work. They tag team each other all the time and they're eating me out of my own home in fact. "They all take it in turn to do something they shouldn't on daily basis like a game of Chinese whispers. "So if you can be the perfect people for the two poodles on the right, message me. I'm offering them to a good home. Can you sell kids on eBay?" But this isn't the first time Kylie has had to cope with the carnage created by her mischievous little girls, who she describes as inseparable. 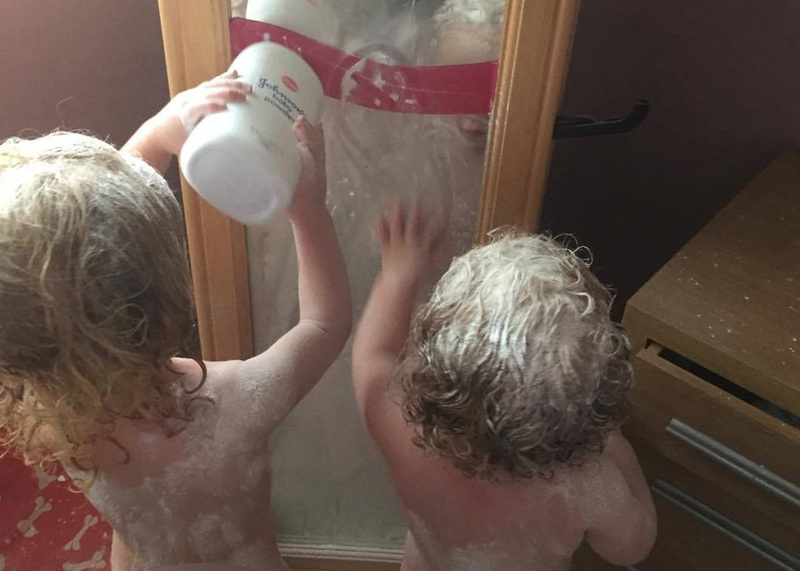 Myla and April-Rose love nothing more than to run riot through the house, drawing on each other, and covering themselves and their mum's room in baby powder – always accompanied by Staffies Molly and Buster. The toddlers' antics never ceases to entertain their family, especially their big brothers Leon Cain (12) and Billy-Joe Cain (8). While Kylie admits finding it "tiring and annoying" constantly cleaning up after the girls, more often than not she finds April-Rose and Myla's close bond touching. 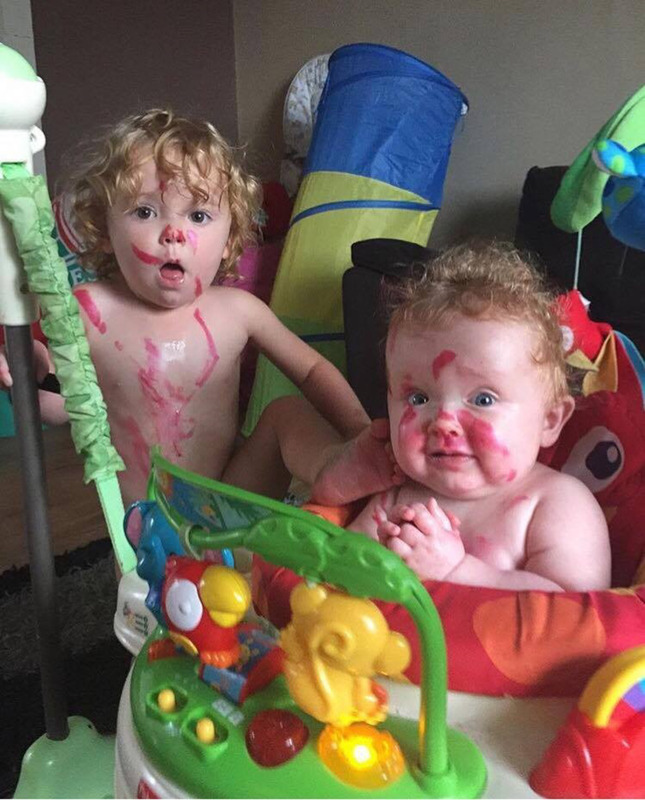 "They are like the Kray twins, wreaking havoc around the house. They get up to everything and they do it all together. "And the dogs are always there with them – they're all in on it. Staffies get a bad reputation but they are absolutely fantastic with all the kids. They have such a great bond. "The mischief they get up to can get annoying and I do feel like I spend all my time cleaning up after them. "But it just brings them so much joy and the boys find them absolutely hilarious too. "I'm just lettings kids be kids, you have to. You can't shout at them all the time."